Our Environmental team recently completed the successful mapping and treatment of Phytophthora Dieback on behalf of the City of Cockburn. The Banksia Eucalypt Woodland Reserve has now been effectively mapped, assessed, and treated thanks to our expert staff! The City of Cockburn contracted our Environmental Services team to manage the deadly spread of phytophthora dieback. This disease affects 40% of WA natives and poses a serious threat to biodiversity and threatened animal and plant species. Our staff successfully identified and mapped the dieback areas. They treated herb and shrubs with foliar spray and used phosphite stem injection for the trees in infested areas. Soil samples were then taken to be analysed and tested at the Centre for Phytophthora Science & Management (CPSM). After the treatment, we provided a full progress report. This included a map of the treated areas and the dieback status of each one. All our assessments were carried out in accordance with the Phytophthora Dieback Interpreters Manual for Lands, managed by the Department of Parks and Wildlife (DPAW). Whilst the spread of the disease has been managed, prevention is still the best method. 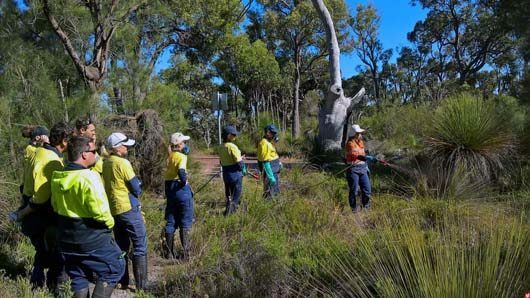 Our team passed on their knowledge of dieback treatment to the City of Cockburn’s bushland maintenance staff. This includes enforcing strict hygiene regulations and spreading awareness. The Environmental team are happy to add to their growing portfolio of dieback treatments, and protect our endangered native species. If you need efficient management of dieback and other diseases, then talk to our Environmental team today. Contact Alex Growden here or at 9375 4950!